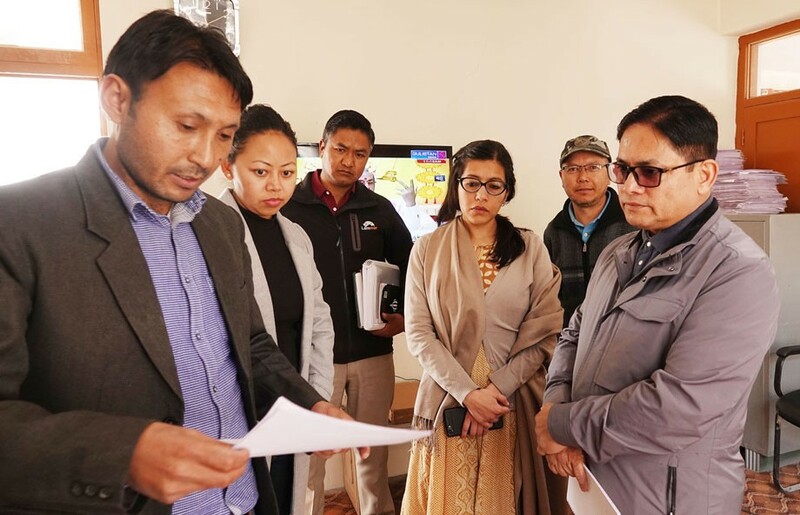 Expenditure Observer 4-Ladakh Parliamentary Constituency, Milan Ruchal inspected various election cells in Leh including District Election Control Room, Media Certification and Monitoring Centre and Video Viewing Centre on April 13. He took stock of the poll preparedness and other necessary arrangements put in place to ensure free, fair and transparent conduct of elections in Leh district. Milan Ruchal also visited Sindhu Sanskriti Kendra where the Strong Room for EVMs and Counting Centre are established. Avny Lavasa, District Election Officer Leh and the Returning Officer, 4-Ladakh Parliamentary Constituency informed about the steps taken by the administration and framing of committees with regard to monitoring of election expenditure of parties and candidates. Milan Ruchal stressed on the officials to work with utmost dedication and in close coordination with each other to ensure free and fair elections besides implementation of Model Code of Conduct.